2. Heat grill to 375 °F (190 °C), when it's too hot to hold hand above coals for more than 5 seconds. 6. 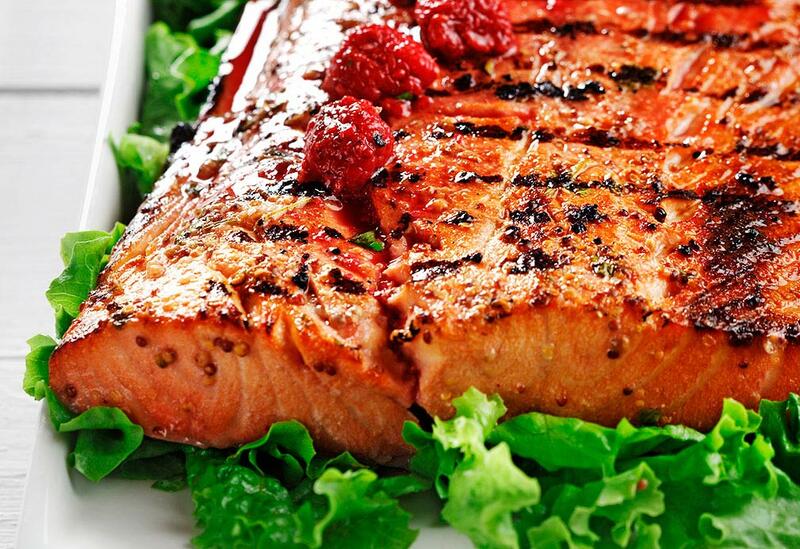 Spray grill rack lightly and cautiously with cooking spray, then carefully place salmon fillets on hot grill 2 inches (5 cm) apart. Cook on each side 3-4 minutes at diagonal angle to grill rack for professional-looking grill marks. 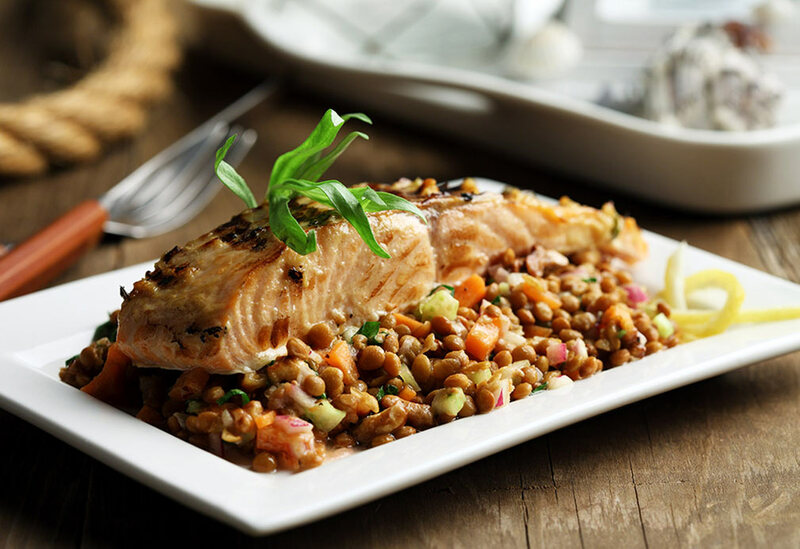 Remove salmon from grill and serve over lentil salad. Garnish with lemon wedges, if desired. 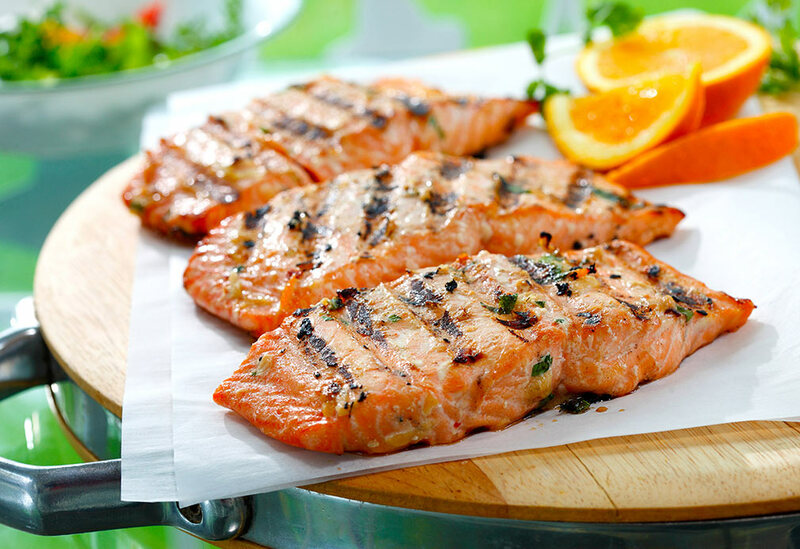 Tip: The marinade doesnt have a lot of acid, so it's perfect for marinating the salmon for up to 10 hours before grilling (or broiling). 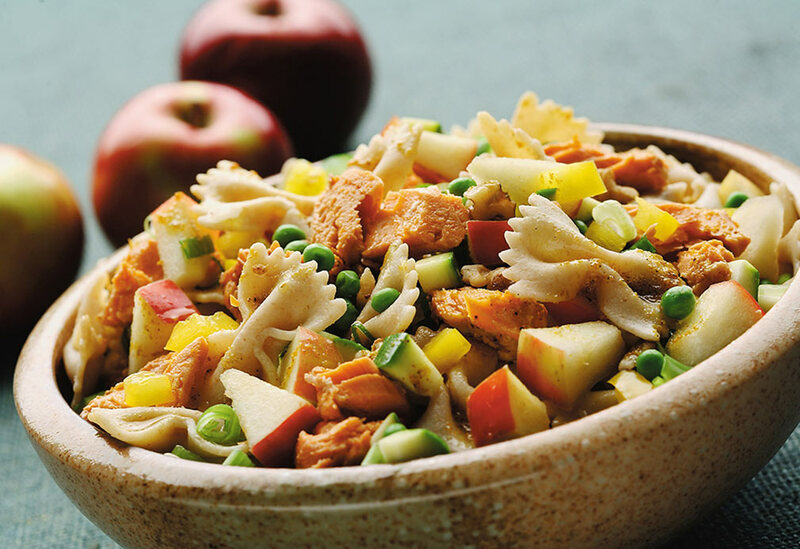 Consider placing the salmon and marinade in a resealable bag before work and cooking it when you get home. As another time-saver, the components of the lentil salad may be made up to a day ahead and tossed in the vinaigrette at the last minute or 2 hours before serving. As a quicker alternative, use 1 1/2 cups (375 mL) canned, rinsed lentils or black or small red beans instead.